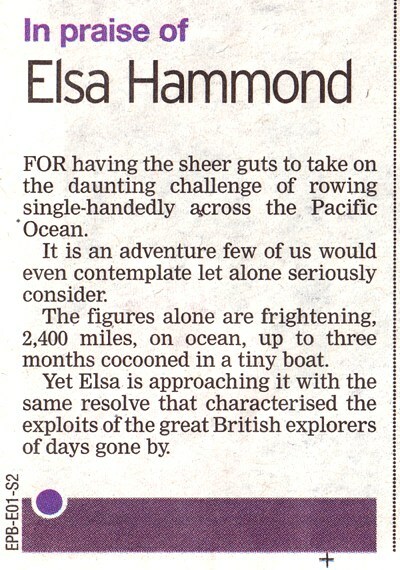 Bristol Post: Solo rower crossing 2,400 miles of ocean to Hawaii – & Editorial! Not only did the Bristol Post write a brilliant double-page spread about Elsa, they also praised her in a fantastic editorial! “Elsa is approaching it with the same resolve that characterised the exploits of the great British explorers of days gone by”!! Read the printed article below (click to enlarge), or read the article and editorial online.